Thanks so much for hosting me, Tez! I’m the first to admit my gateway into genre fiction was Anne Rice’s Vampire Chronicles. All through high school and college, I devoured those books. I was a serious vampire fan. My friends and I traded the books, talked about vampires, and I thought about writing my own vampire book someday. But then I found werewolves (mostly in my imagination) and I felt they weren’t getting their story out there properly. I wanted to write my own werewolf book and so I wrote Never Cry Werewolf, my first published novel. I’ve been in serious werewolf love ever since. 1. Werewolves are alive. They may be cursed, but they can live semi-normal lives, no coffins included. No need to go to ground and rise again. Also, no blood drinking – that’s a plus. 2. Werewolves are living double lives. They have one self they show to the world and one incarnation that they keep hidden. As a mostly introverted person, I can relate. I try to blend in a social setting, but I feel more comfortable as my true self alone or with trusted friends. 3. Werewolves are passionate. In the world of my new series Pioneer Falls and in other stories, my wolves can be overcome with emotion, causing a transformation. Vampires, while passionate in their own way, never seem to be swept away by a feeling that anything changes physically other than fangs engaging. 4. Werewolves are warm. See #1 above. If I’m getting up close and personal with a love interest, I’d prefer them to have a decent body temperature. I’m a cold sleeper as it is! 5. Werewolves are loyal. In my stories, at least, loyalty is important to my wolves. Loyalty to family, friends, etc. It’s pack behaviour for them and comes naturally. So, there you have it. Don’t get me wrong, I still like vampires. I may even have a vampire book in me somewhere, buried deep. But there’s something special about werewolves and that’s why I continue to write about them. The plot for my new werewolf book has been simmering on the back burner for years. 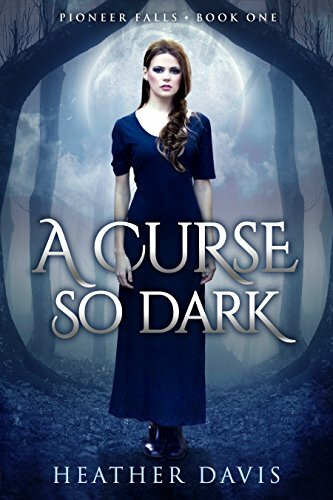 I hope you’ll check out Lily Turner and the other new werewolves in A Curse So Dark. 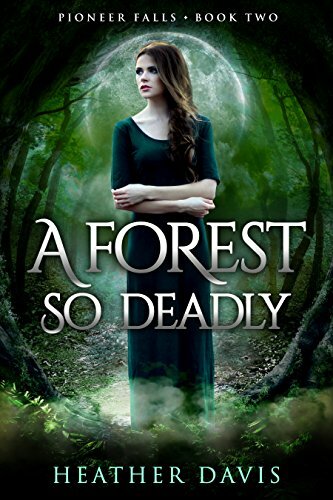 This entry was posted in Guest Bloggers, Heather Davis and tagged A Curse So Dark, A Forest So Deadly. Bookmark the permalink. Interesting, I didn’t realize how similar the two covers were until I saw them posted (essentially) side-by-side here. I do like it when a series *looks* like a series. Fun list of reasons why one should love werewolves! As an introvert myself, I sympathize with the double-life one.